Silly Wheelie Mickey can’t wait to show off his cool Mouska-moves! Mickey can free ride, play ‘follow the mouse’ and perform silly cycling stunts! Tap the flag on the bike to set Mickey off onto his wild cycling adventure and stand back as you watch Mickey zoom forward, ride in circles, pop a wheelie and spin! 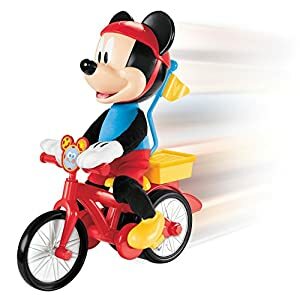 As Mickey cycles his legs pedal too! Once Mickey is riding, tap the flag to see him change direction or watch as he cruises along in the wheelie position. 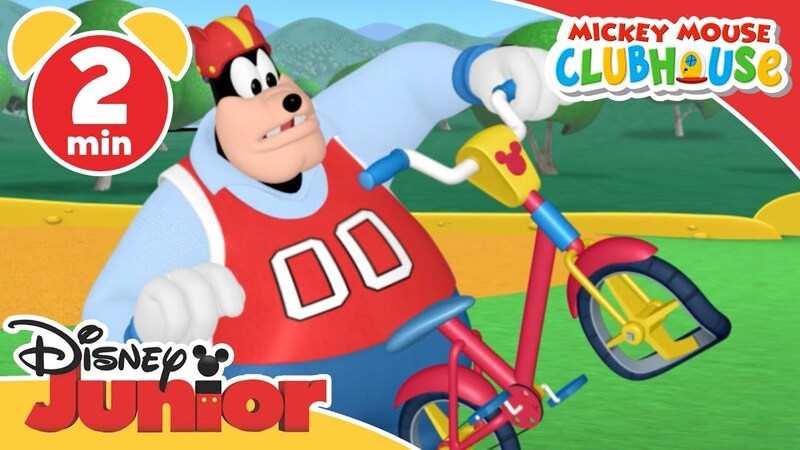 The Disney Mickey Mouse Clubhouse Silly Wheelie Mickey from Fisher-Price offers endless fun and you can even sing along to the ‘Silly Cycle Anthem’.